Stamp till U Cramp: The Altered Alice: Chapter 15 - Week 2 - Any Way You Go Will Get You Somewhere! 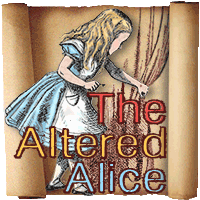 The Altered Alice: Chapter 15 - Week 2 - Any Way You Go Will Get You Somewhere! I started with a old copy of Alice in Wonderland I found at a thrift store. I love the old graphics in these books. Once I decided on Humpty Dumpty I cut the chapter title page out of the book to move it to the front. Then I cut the whole to make my scene. 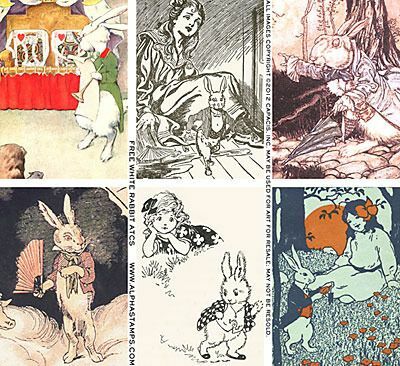 The background image of Humpty if from the Alice in Green Collage Sheet. I used this image as my color inspiration. I used Modge Podge to adhere it and to glue the pages of the book together. the stamped image of Humpty from the Alice's Adventures Rubber Stamp Set with Copic markers and aged him with distress ink. 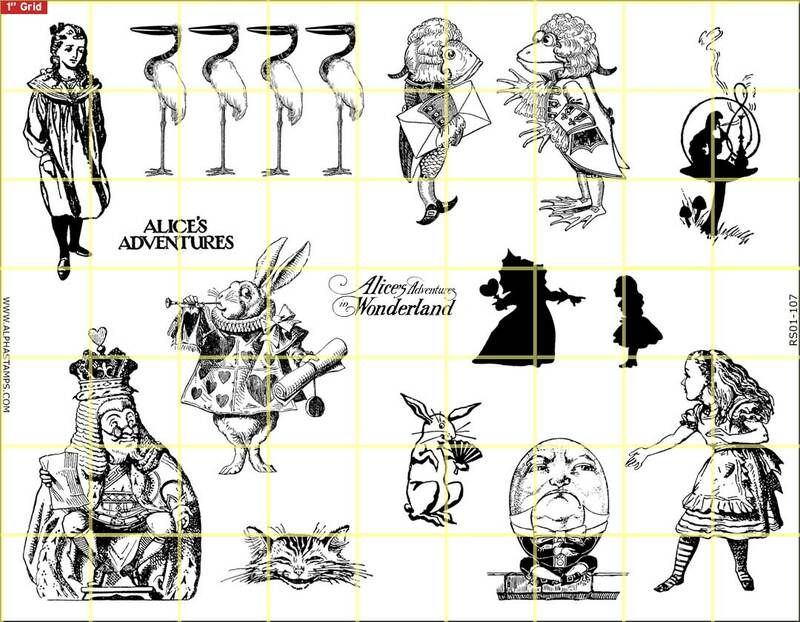 The white rabbit that is peeking out at the scene is from the Alice Characters Collage Sheet. I added lots of washi tape. On the ribbons I have tied the Verdigris Rabbit Charm and a Chunky Little Bottle filled with green glitter and a Drink Me tag. This is truely fabulous! I love all the details. You did a GREAT job on this challenge!